Christina “Tina” Watson was 26 year old when she died while scuba diving with her husband Gabe on their honeymoon in Queensland, Australia, on October 22, 2003. Gabe Watson: Tina’s gone down, I need help. Tina’s gone down, I need help. When Gabe says “Tina’s gone down”, he is telling the truth, he just doesn’t say why she went down. When someone is speaking of an event in the past, and the memory is in play, it is expected that the subject will use past tense language. Present tense language is deemed “unreliable”. We know that Gabe can speak of the event that took place in the past tense because he first said “Tina’s gone down”, so when he says “I need help”, he is telling us that he needs help for himself, right now, at the present, during the interview with the investigator. We often find these words in the language of the guilty. Gabe Watson: The doctor said, you know, I did everything I could to save her but we lost her. This is another indication that Gabe knows how to use past tense verbs. “You know” shows an acute awareness of the interviewer at this question. Gabe Watson: I just can’t help but think that… that the fight against the current is what allowed whatever thing took place that caused her to either blackout or whatever and sink. Note that he doesn’t call her by her name nor even refers to her as “her”. Note “I just can’t help” is in the negative. Deceptive people often tell us what did not happen to avoid telling us what did take place. Note that when Gabe says “I just can’t help”, he is speaking at the present tense. He is right. Right now he “can’t help” Tina anymore. His psychological need to avoid the internal stress of a direct lie is evident. The word “just” is a dependent word used in comparison. He says “I just can’t help but think that” to compares “help” with “think” and to think is not very helpful for someone that is drowning. “that… that”, note the presence of a pause to think that shows that the question is sensitive to him. Note the word “fight”, an example of leakage. Leakage is the inadvertent release of information relevant to the investigation. He opens to the possibility that a “fight” took place before his wife drowned. A commitment to a past event is found in past tense verbs, since we knows that Gabe is able to use the past tense and does not use present tense language as a habit, we don’t believe him when he says “the current is what”. He is unable to say “the current was what” because he is unable to lie. In “whatever thing took place that caused her to either blackout or whatever and sink” not just the word “whatever” is sensitive because it’s repeated twice but Gabe is deliberately vague to be able to explain later to the investigator what doesn’t fit forensically or logically. Gabe Watson: There is nothing in our thing about how to get somebody. Gabe Watson is vague, again. When he says “nothing”, “our thing”, “to get somebody”, he speaks like someone affected by dementia, this will allow him to eventually correct what he said. This is another indication that he knows how to use past tense verbs. Gabe Watson: He got me a coin, I pulled the battery out, swapped it around, hooked it back up and I said, you know, don’t tell anybody, but I had my battery in backwards. Due to the context, “don’t tell anybody” is suspicious. Gabe is lying, if the battery was in backwards, the computer couldn’t beep at him. Gabe Watson: So I knew without any doubt that that was the problem. Gabe Watson: She had both arms up, she was looking up before I realised she was going faster than I can catch up with her, you know, is then that I decided well I’m going to go get somebody that maybe knows what to do. Note that he doesn’t call her by her name, he refers to his wife as “She”. Gabe at first is speaking at the past tense “She had both arms up, she was looking up before I realised she was going faster than” but unexpectedly he adds something at the present tense “I can’t catch up with her”. This is true, he “can’t catch up with her” right now. Gabe Watson is unable to say “I couldn’t catch up with her” because he is unable to lie. Humans often speak in an economy of words. To say “You know, is then that I decided: Well I’m going to go get somebody that maybe knows what to do” goes against the law of economy, “I called for help” was expected. His language reflects his behaviour, he lost precious minutes before calling for help. “then” is a temporal lacunae, Gabe is skipping over time withholding information. Gabe Watson: I remember shouthing through my regulator: Tina, Tina, Tina, tapping’em, I know the guy turned around and looked at me and I was pointing, you know, where she went down. “I remember” is unnecessary wording whereas in truthful accounts people can only tell us what they remember. This may be an indication that Gabe may have told the investigators what was not from his experiential memory previously. Gabe Watson: Pretty much just rocketed to the top, you know, I just swam up to the top, I probably never swam so fast in my life. I’m amazed that I didn’t end up with the bends or something. In “Pretty much just rocketed to the top”, the pronoun “I” is missing, a dropped pronoun means no commitment to the action described. “I probably never swam so fast in my life” is something unnecessary to say and when he says “I’m amazed that I didn’t end up with the bends or something”, he shows a need to ingratiate himself with the investigators. Gabe wants to appear the “Good Guy” that risked his own life to save his wife. Only someone with a guilty knowledge has a psychological need to be seen in a positive light. This is also consistent with manipulation. Gabe Watson: In the back of my mind I was thinking these people could see us, or at least think something was going on. He doesn’t say that he “was thinking these people could see” them and get there to help but that they could “think something was going on”. This is something very close to an embedded admission although he remains vague saying that “something was going on”. Anyway we can assume that he scared to be seen while murdering his wife. Gabe Watson is deceptively withholding information. He has guilty knowledge of what happened to his wife Tina. 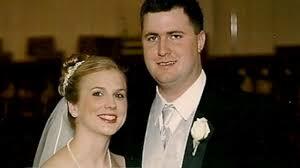 Gabe Watson was initially charged by Queensland authorities with his wife Tina’s murder. He pleaded guilty of manslaughter and was subsequently sentenced to a term of imprisonment for this charge. He was then charged by Alabama authorities with Tina’s murder and put on trial. On February 23, 2012, Alabama judge Tommy Nail dismissed the murder case due to lack of evidence.